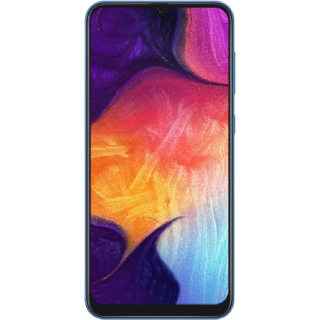 Samsung revealed its new Galaxy A50 smartphones on 1st March 2019. A user can shop Samsung Galaxy A50 at Amazon. The Samsung Galaxy A50 runs on Android Pie along with One UI on top. it features a 6.4-inch full-HD+ (1080x2340 pixels) Infinity-U Display backed by a Super AMOLED panel and 91.6 percent screen-to-body ratio. Further, the Galaxy A50 is powered by an octa-core Exynos 9610 SoC, coupled with 6GB and 4GB RAM options. Galaxy A50 has a triple rear camera setup that includes a 25-megapixel sensor along with an auto-focus f/1.7 lens, a 5-megapixel sensor with a fixed-focus f/2.2 lens, and an 8-megapixel sensor with a fixed-focus f/2.2 lens. There is also a 25-megapixel sensor with a fixed-focus f/2.0 lens at the front. Furthermore, the handset comes preloaded with Samsung's Intelligent Scene Optimiser that is touted to adjust the colour, contrast, and brightness after categorising the subject. The Galaxy A50 has 64GB of onboard storage option that is expandable via microSD card (up to 512GB). There is also an in-display fingerprint sensor. The smartphone packs a 4,000mAh battery that supports 15W fast charging via USB Type-C port. Offer is valid for the limited period so shop now before it is too late.